To my dear customer Dear Customer, Welcom to our website and hope our expanded metal mesh will make you satisfied. We think creatively, design bravely, manufacture precisely and loyalty to our customers. And we have our own factory. So we can produce the expanded metal mesh according to your requirements. We are looking forward to establisheing cooperation with you. 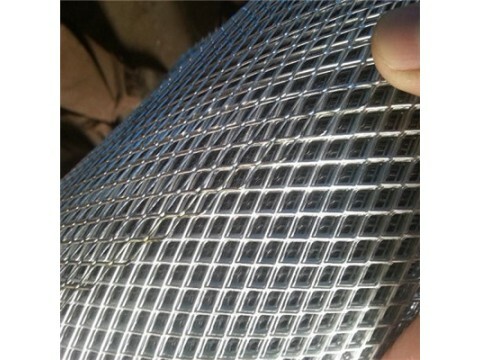 Your SincerelyDongjie Product Description Expanded metal is an intermediate raw material that allows light and air to flow freely through it and that has more rigidity than the sheet from which it was produced. It is formed in an expanded metal press and produced from any malleable metal sheet product. The plate, sheet, or coil is simultaneously slit and stretched into diamond-shaped openings. These openings are of uniform size and regularity. Regular (standard or raised) – all expanded metal is produced in regular form off the expanders. The strands and bonds are set at a uniform angle to the plane of the sheet. This gives added strength and rigidity, as well as a skid resistant surface. Flattened – is manufactured by processing regular expanded metal in a rolling mill. The rolling process reduces the thickness of the original base metal. Strand Thickness – Thickness of the base material from which the sheet was produced. Strand Thickness and Width – Can be varied to create different openings. The width of the strand should equal or exceed the thickness of the base metal. Design Size – Actual dimension SWD and LWD.